Keeping your pet clean is important for its health and its appearance. Grooming your pet helps avoid problems and also alerts you to parasites or skin diseases that may be present. It is also an opportunity to bond with your pet. You can start slowly with gentle massage and brushing and combing. 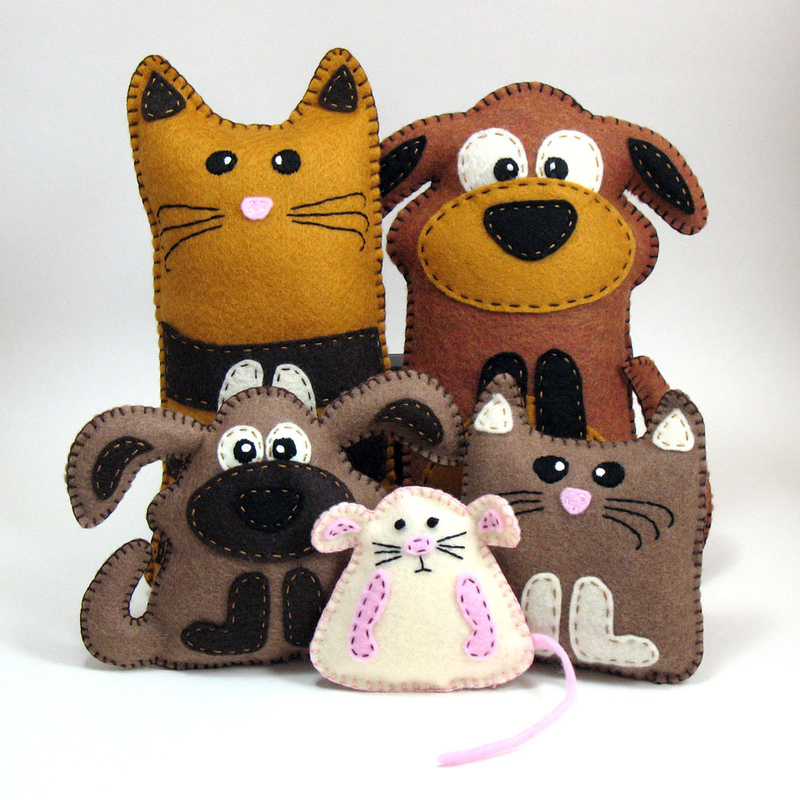 Give your pet a treat and make it a fun experience. Dogs need their hair brushed to maintain a healthy coat. How often depends on the length of their hair. Long-haired dogs should be brushed daily, medium-haired dogs need to be brushed weekly and short-haired dogs can be brushed monthly. In addition to the health benefits of brushing, it will also strengthen the bond between you and your dog. Most dogs need monthly nail trims. If the nails are cut too short it will be painful for the dog. It is best to learn how to cut a dog’s nails from a vet or vet’s assistant. 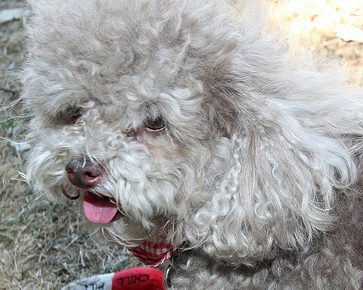 Dogs should be bathed at least monthly with a soap-free shampoo made especially for dogs. Dogs like warm water and are best bathed in a tub. Some pet supply stores offer self-service dog wash tubs. If necessary, provide your dog with a bath mat to prevent slipping. When bathing a dog wear old clothes or an apron and expect to get wet. Dogs need to have their ears cleaned too. If they don’t have ear problems this can be done during the monthly bath. Proper ear care prevents bacteria and yeast from taking up residence in your dog’s ears. 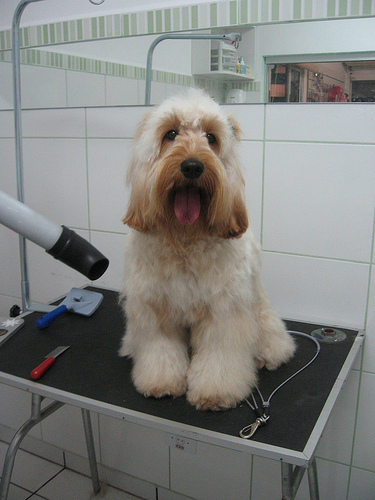 Dogs with continuously growing hair need their hair cut every 2-4 weeks. The basics grooming supplies are a brush, a comb, nail clippers, shampoo (yes, cats need baths sometimes), a special toothbrush and toothpaste made for cats. It’s best to get your kitten started early with grooming. The kitten will become used to your handling and it’s a great bonding time. Horses should be groomed daily and is a must before riding. Otherwise, grit beneath the saddle will make the horse uncomfortable and could lead to sores. For horse grooming you will need: a rubber curry, dandy brush, body brush, hoof pick/brush, mane comb and a towel. Always start at the top of his neck and work your way to his rear, then switch sides and repeat. Make sure your horse or pony is safely tied wearing a leather halter or by using ‘quick-release’ snaps on cross-ties. Keep your equipment out of your horse’s kicking range. Birds also need to be bathed regularly. Some birds enjoy baths while others are resistant. When bathing a bird, use only plain clear water. Even shampoo formulated for birds will harm the bird’s feathers. Birds chill easily so the water should be warm and baths are best given at the warmest time of day. Feathers should never be totally soaked as this could lead to a loss of body heat. 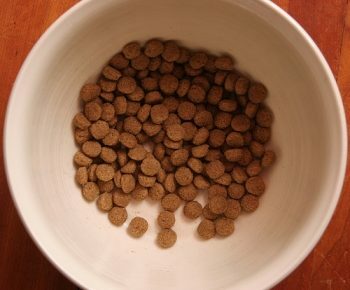 How much food should I purchase for my pet at one time?